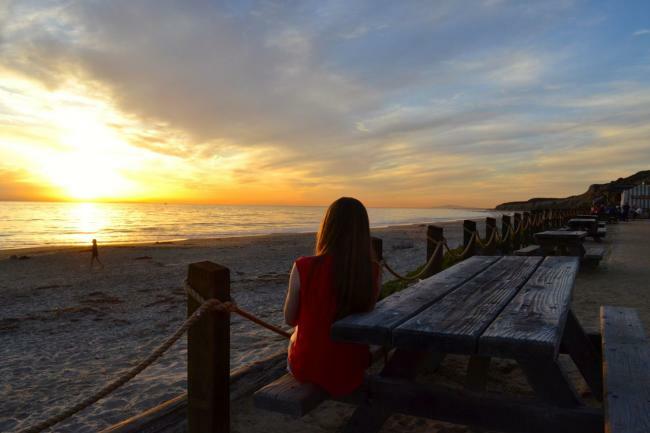 Summer may be the time to hit the surf and sand, but in Orange County, winter is the best time to enjoy the sky. Cooler temperatures combine with a few more clouds to create breathtaking sunsets. For some reason the clearer air makes the colors more vibrant. The tourists are few, so the stunning sunset show feels like its all for you. All you need to do is look to the west at about 5pm to see our winter treat. But of course, some spots are just perfect for settling in and enjoying a sunset Happy Hour. 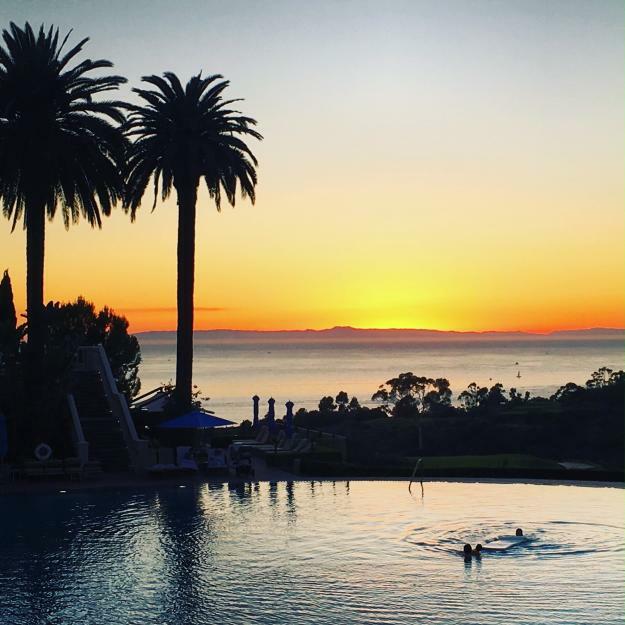 People travel from all over the world to enjoy the luxury at The Resort at Pelican Hill. But the delightful view from the Coliseum Pool Grill is only minutes away from Irvine. You don&apos;t have to be a registered guest to enjoy Chef Oscar Fonseca&apos;s menu of fresh, seasonal delights, like the Coliseum Crab Cake. Monday through Thursday, they host a Weekday Wind Down with 1/2 off wine and beer from 3 pm until close. Travel south from Newport Beach on Pacific Coast Highway and you&apos;ll find a sleepy collection of cottages that is truly a remnant of the past. 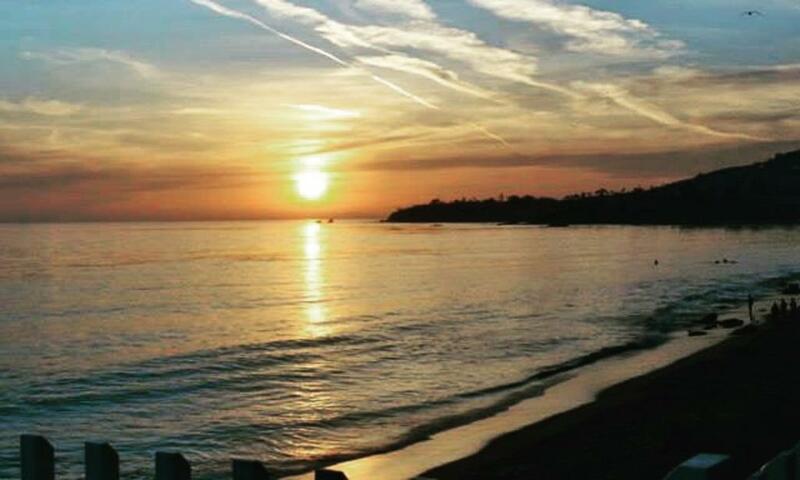 Crystal Cove State Beach was once a beloved vacation village for generations of families. Now it is open for the public to enjoy. Arrive by 3:30 pm if you want to put your name in at the popular Beachcomber Restaurant or bring a sweater and find a spot at one of the beachside tables for your own picnic. This little scenic city park in Laguna Beach is off the beaten path. In fact, Crescent Bay Park feels a bit like your own secret spot in the middle of a tourist destination. Walk out to the end of the park and you&apos;ll find a bluff overlooking the Pacific. 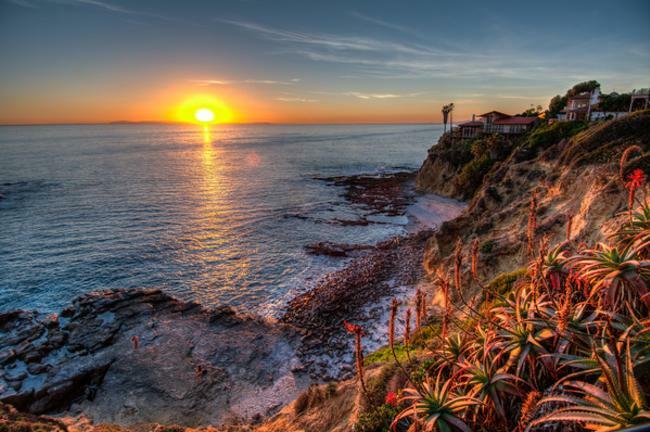 Winter views usually include a clear shot of Catalina Island, 26 miles to the west. If you&apos;re lucky, you&apos;ll hear the sounds of sea lions on the rocks below. OK...so I included a selfie so that you know all of these Sunset Spots have been tested and approved for your viewing pleasure....what can I say, I&apos;m a giver. SkyLoft Bar has been open for just a little over a year, and is a welcome addition for Orange County sunset aficionados. 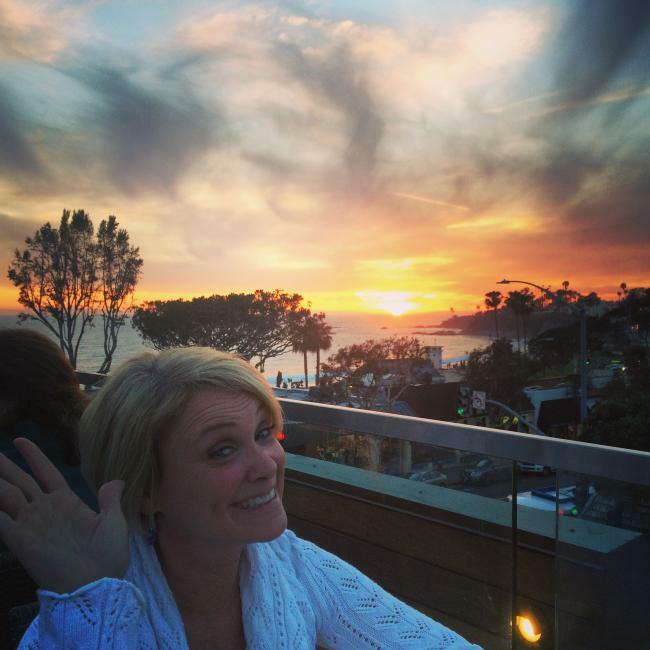 Even though the rooftop bar is across PCH from the beach, the views of Laguna&apos;s Main Beach are extraordinary. They have Happy Hours specials every weekday starting at 3 pm. What better way to toast to the end of a spectacular southern California day than with a Cucumber Jalapeno Margarita? Who says you have to go all the way to the coast to appreciate a beautiful sunset? One of the most spectacular sunset views can be enjoyed right here in Irvine, on the Orchard Hills Loop Trail. The Irvine Ranch Natural Landmark offers guided hikes on this moderate trail which winds through a working avocado orchard and provides fantastic, ridge-top views of Irvine and the Pacific coastline. No margaritas on this trip. Make sure you wear sturdy shoes and bring plenty of water.